The monograph summarizes the researches of the authors in the fiels of family farm efficiency, resource economics, and agricultural policy. The foremost aim of the research is to develop an integrated framework for measurement and analysis the productive efficiency of Lithuanian family farms and identify the related implications for efficiency improvement. The proposed framework is mainly based on the non-parametric frontier methods. Object of the research is Lithuanian family farms reporting to the Farm Accountancy Data Network. 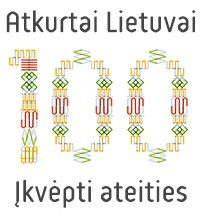 The research features both empirical and theoretical novelty in that it develops some new techniques for efficiency analysis and employs them to analyse the performance of Lithuanian family farms. The efficiency analysis rests on the neoclassical production theory. The research is mainly based on the non-parametric technique, viz. DEA. The latter technique is implemented by the means of the linear programming. The robust production frontiers are estimated via the bootstrapping and Monte Carlo simulations. The uncertainty is dealt with by the means of the fuzzy numbers. The program (i. e. farming type) efficiency is assessed by utilising the MEA methodology along with the meta-frontier approach. The TFP changes are measured by employing the TFP indices, which are based on the DEA models. The results are analysed by the means of the regression models (truncated regression, panel models) and multivariate statistical methods (namely cluster analysis and multiple correspondence analysis). Keywords: Efficiency, productivity, Data Envelopment Analysis, family farms. All rights reserved to Lithuanian Institute of Agrarian Economics. No part of this book may be reprinted, reproduced, transmitted, or utilised in any form by any electronic, mechanical, or other means without written permission from the publishers. Asmild, M.; Baležentis, T.; Hougaard, J. L.; Kriščiukaitienė, I. 2015. 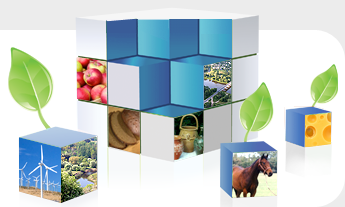 Advanced Analysis of Efficiency of Lithuanian Agricultural Sector: Methodologies and Applications : Scientific Monograph. Vilnius: Lithuanian Institute of Agrarian Economics. 480 p. ISBN 978-9955-481-51-5.